Jungle Red Writers: Good News...and a visit to India! Gigi, your new book sounds so exciting . . . I’m adding it to my to-be-read pile . . . . I am a big fan of caramelized onions . . . your recipe sounds so delicious --- I’m looking forward to trying it. Thanks for sharing the recipe . . . .
You had me at "carmelized onion." Also at "Barbary Coast." Looking forward to meeting you at Malice. Hi, Gigi. I just ordered this book a few days ago. I LOVE Henery Press books!!! However, I didn't realize it was your second book in the series so now I'm off to get ARTIFACT. This series is full of culture and adventure, fun locales, a unique and engaging protagonist, delightful secondary characters--and magic! Most of all, great writing. Congrats, Gigi. The recipe, and the book, both sound great, Gigi. Love caramelized onions. I also look forward to seeing you at Malice. My favorite trip-inspired recipe is Yellow Pepper Soup, as prepared by the chef at Cibreo in Florence, Italy. Our tour guide in Florence, an American who married an Italian guy, is also a cooking instructor, and she provided the recipe on her website. Every time I've made it it's gotten rave reviews. Gigi, congratulations! Your book is going straight to the top of my to-read pile — I've always been fascinated with India and all things Indian (Bengali in particular). And I AM going to try this recipe — sounds amazing! 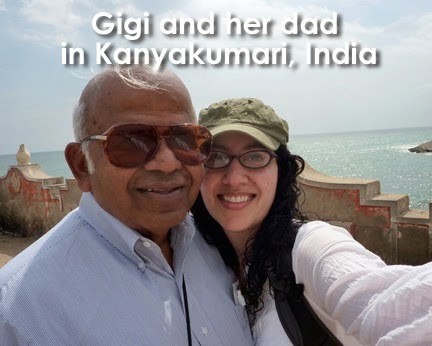 Welcome to Jungle Red, Gigi - sounds you're having a well earned success. Enjoy!! Go Gigi! Everything sounds great -- the book, the series, the recipe. Not surprised though -- had a great Aunt Gigi who always stole the show. Barb and Karen -- With how quickly this year is going, Malice Domestic will be here in no time! Look forward to seeing you there. Karen and Hallie -- Now you've got my mouth watering, and I haven't even had breakfast yet! Jack -- ha! We Gigi's may be few and far between, but we pack a punch ;). You should look out for talented mystery writer Gigi Vernon. Gigi, do you think red lentils would work as well? I always keep those in my pantry for a great red lentil soup. It would be great to have another non-potato/non-gluten side dish in my repertoire. Karen -- You bet! I've made this dish with red lentils, too. It works, but doesn't taste quite the same. My favorite recipes for red lentil dishes are from Deborah Madison cookbooks and the Post Punk Kitchen vegan recipe website. Gigi, hi! Huge congrats on all your success! And so well-deserved. 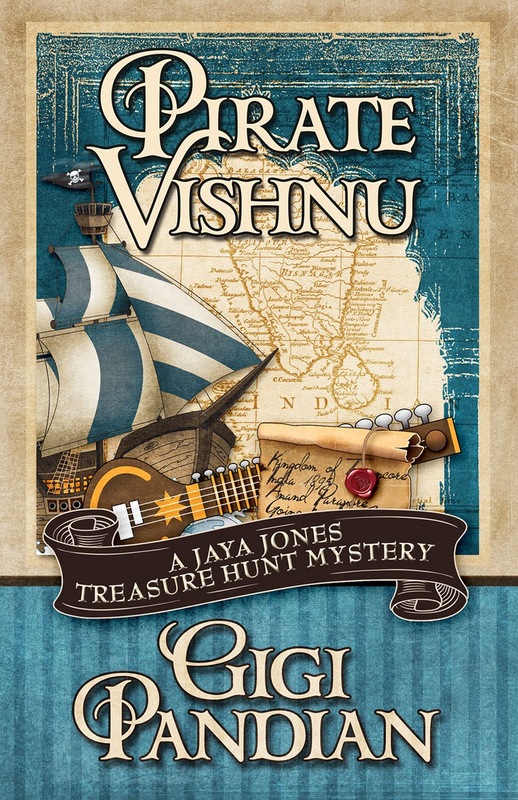 I loved Artifact--can't wait to read Pirate Vishnu! Love the pic of you and your dad, by the way. 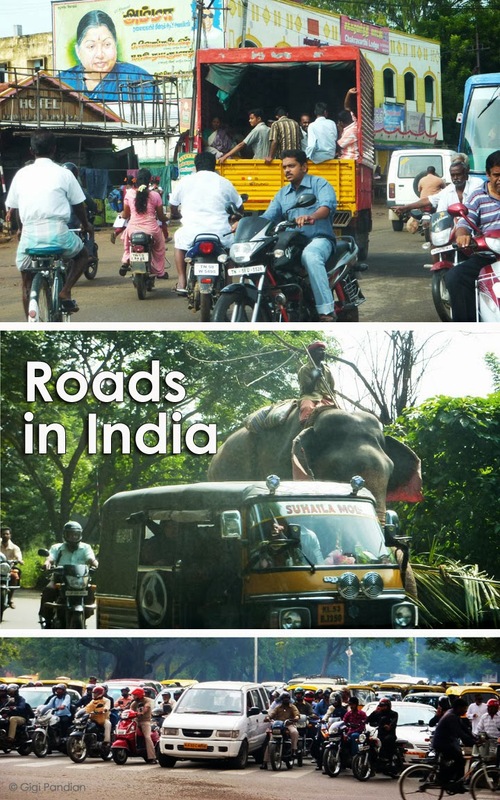 And the Indian Roads! And I love India foods, so will have to try the recipe. I'm going in London in mid-May, and I think top of my looking forward list is eating at some of my favorite Indian restaurants. The last time I was in London, I discovered another wonderful pocket of Indian restaurants in addition to Brick Lane: it's a little street not far from the British Library, called Drummond Street. I definitely need to read ARTIFACT! Haven't tried making them yet but had Cullen skink in Scotland and it was delicious. Already loved scones. My husband was a convert to Irish soda bread after visiting Ireland years ago. India is so vast. I'm sure there is something there for everyone. I will make a note of your recipe and read both the treasure books! Gigi, I have a bag of French lentils. Would that work? Hallie, on my way to your house for that DEE-licious sounding ceviche! Running in, running in, waving like mad--we've been out of town-- saw Red Julia S-F and Rosemary Harris and their darling husbands..and the fab F-O-R Jennifer MacMAhon--nice! and delighted to see you all chatting so nicely. I am trying to remember if I've ever cooked Indian food at home..which reminds me--I have no idea what's for diner. Now there's a combination! Gigi tell us about USA today! How did you find out?? And I am so happy you kept the name Pirate Vishnu---I always loved it. Pat -- I had to Google Cullen skink. Turns out I've eaten it before, but I never knew that's what it was called! I've never tried making the dahl with French lentils. They're a bit different, so I'm not sure how well it would work. But if you're an experimental cook, I'd say go for it -- and please keep me posted how it goes! And it's the funniest thing how I found out I'd hit the USA Today Bestseller List. I make it a point to NOT check my rankings or lists (that kind of thing will drive an author crazy, you know?) so it wasn't until an author friend Tweeted the link that I found out! Same goes for my Amazon rankings -- I hadn't been checking them until my publisher told me I should check it out! Gigi, I think I may have eaten wonderful Indian food in Drummond Street with my friend Barb Jungr, who knows all the best places. Wish I could remember the name! Gigi, congratulations on all of your success, and Jaya Jones is a character I won't to get to know. The books' premise is set up to be full of adventure, and it sure sounds like they live up to it. I will have to get in on these books in the very near future. Your recipe makes me think I need to give Indian food more of a try. Yum! Kathy -- If you're not sure if you like Indian food, this is a great recipe to start with -- but go easy on the cayenne pepper! Gigi, wonderful! Keep us posted...and see you soon! Hank -- Thanks for having me on the Jungle Reds today!